3 Bedroom Semi Detached House For Sale in Liverpool for Guide Price £75,000. By Auction via our colleagues at Sutton Kersh. Auction is on the 15th May 2019 at 12 noon. Any one who wished to view please contact 0151 207 6315. Attention investors! 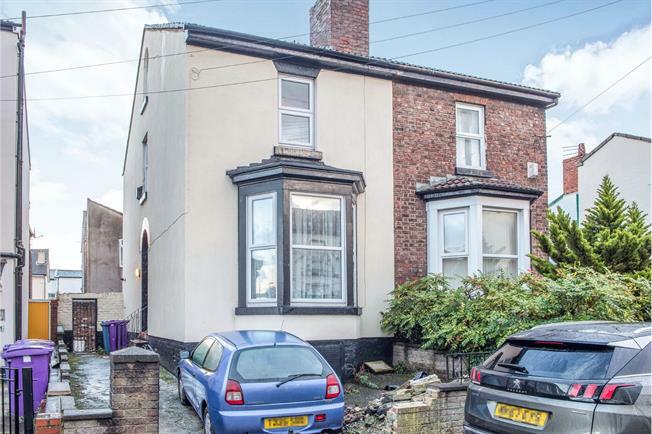 Entwistle Green are pleased to welcome to the sale market this excellent property which offers, big living space and a chance to convert into a multi let property, ideal for the student let market. In brief, the accommodation comprises, an entrance hall, lounge to the front, kitchen/diner to the rear, a shower room, a big basement area, two big double bedrooms to the first floor, a bathroom and a third bedroom to the top floor. The property is also double glazed and central heated. Externally, there is room for multiple car off road parking. All in all this is a big property with bags of potential. Double glazed uPVC window. Radiator, laminate flooring. Roll edge work surface, built-in, wall, base, wall and base and drawer units, stainless steel sink, single sink and with mixer tap with drainer, integrated, electric oven, gas hob. Double glazed uPVC window. Standard WC, single enclosure shower. Double glazed uPVC window. Touch flush, panelled bath.